It’s full on holiday shopping time. But what do you buy the mystic in your life? What do you get for the witch that has everything? Let me help you! This is my first ever gift guide. I typically don’t want to encourage the commodification of sacred holidays, but who doesn’t like pretty things? And who doesn’t want to support independent artists and other small businesses? So without further ado here are things that I would love – I mean, that the spiritual person in your life might love. In no particular order, I present to you a list of beautiful things. I’ll admit, I have expensive tastes. Some are these items are quite affordable, others …. well, that’s why there are wish lists. Ekabhumi creates many beautiful things, but his yantras are glorious. These are large geometrical paintings, prayed over and infused with intention, much like icons in the Christian tradition. I would love to have one of these in my home. I think it would look beautiful over a lovely murti of a Shiva Nataraja, perhaps hanging in a yoga studio, or blessing some one’s home. 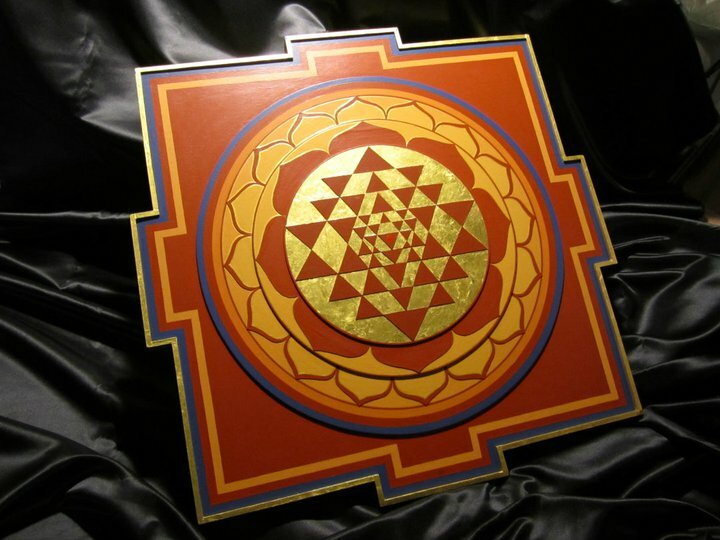 You can order Ekabhumi’s yantras here. Several months ago I tried to make my own malas, prayer beads used in Hindu and Buddhist practice. I did not make it out of the bead store. I faced several challenges: the overwhelming choices presented at the bead shop, not knowing the meanings behind any of the stones, my limited budget, and the reality that I was not about to have the time, money or manual dexterity to create a practice mala, much less a beautiful final product. I went searching online and found Bija Malas. 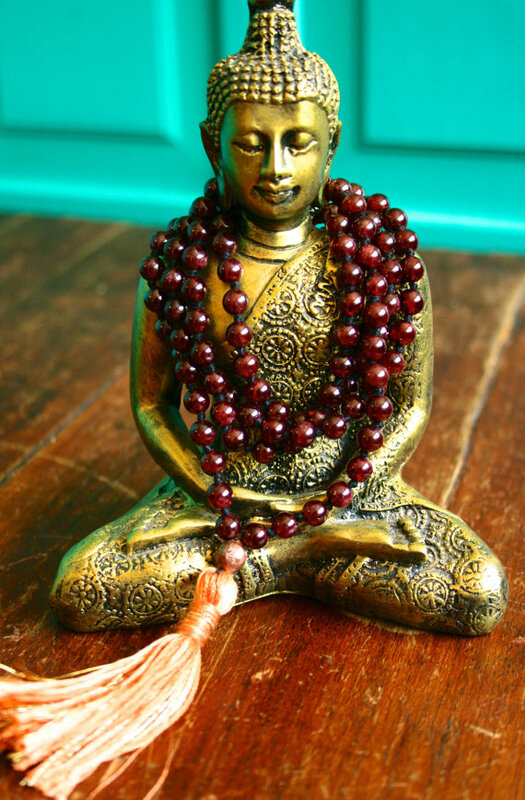 Bija Malas are very pretty and seem quite affordable to me. There are shorter bracelet ones, along with more traditional 108 bead malas. While I long for a 108 bead mala, I don’t know which of those I would prefer! They are all so beautiful. These would make a valuable gift for the Buddhist, Hindu, yoga teacher or student, or meditator in your life. Raven Edgewalker creates a wide array of crafts and wares for witches. 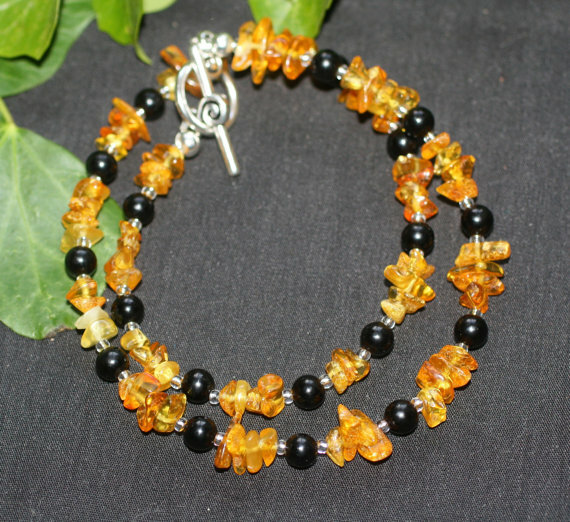 I am particularly fond of her amber and jet jewelry. These two stones work well together to purify energy and to protect from and neutralize negative energy. Very handy for witches and sorcerers. This particular necklace is available from greenwomancrafts for $49. I love art and long to have a house full of art and crafts. I also adore word cuts. 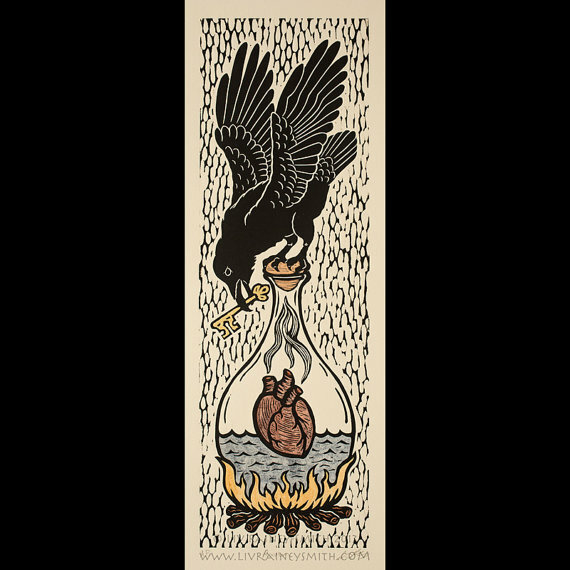 Liv Rainey-Smith combines my love of art, wood cuts, and occult themes. I discovered her work at the Esoteric Book Conference in Seattle a few months ago. Her work changes regularly. There were several pieces I saw there that aren’t listed in her store now. I assume they sold – and for good reason! 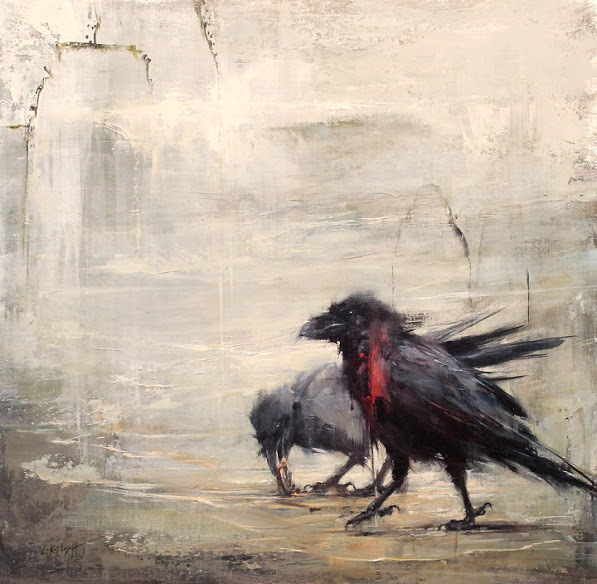 This glorious cut is called Alchemical Raven and sells for $350. For the literary and discerning magician, witch or occultist of any stripe, anything by Scarlet Imprint is a good choice. Their works never fail to be thought-provoking, informative, and created with the highest quality materials. Scarlet Imprint books are bound spells. Their latest offering is the two-volume edition of The Testament of Cyprian of the Mage, last in a series on grimoires by Jake Stratton-Kent. I, however, do not have Pomba Gira, and have wanted to read it for a while now. Hey! This is the only one not sold! I’ll take it! Another artist whose work makes my witchy heart beat faster is Lindsey Kustusch. Her raven and owl series are stunning. Sadly, they are almost all entirely sold out! The one pictured at left is the last one left! She also has a series of paintings of San Francisco, and those are striking as well. Perhaps you know some one who has left their heart in San Francisco? Her bottle still lifes are delightfully creepy and will likely appeal to those who love curiosities, as well as liquor. Not that I know anyone like that…..
Sarah Lawless is a writer, artist, crafter, and master salve maker. I would take just about anything from her. I can recommend her flying salves first hand. Her apothecaries are on hiatus for the holidays, but I still want to give her work a shout out. Her knives are stunning. Finally, no gift guide is complete without a nod to the Chibi Tarot. Only the major arcana is available at this time. This may look like a silly cartoon deck, suitable for the kid, manga lover, or video gamer in your life. Do not be deceived! This is a legitimate and powerful deck. It’s also created by husband, who is writing a book along side this deck and gearing up to begin the minor arcana. I think this collection of beautiful things is enough to get anyone’s gift giving juices flowing. Stay tuned next week for recommendations for the kiddos! I guarantee that list won’t be as pricey as this one. This entry was posted in Uncategorized and tagged Hinduism, holidays, links, paganism, sacred arts, witchcraft, yoga. Bookmark the permalink.